Sony’s latest flagship device, the Xperia Z2, is a beast in many ways. First the specs are top of the line, pushing a massive 20.7 megapixel camera on the back and the latest Snapdragon processor inside. What’s also massive is the size of the device, with a 5.2-inch 1080p screen and still needing room for the rest of the phone to fit around it, there’s no way of getting around the fact that this is a large phone. While there are plenty of people out there that love large phones, some people just want a reasonable sized device a la the Moto X with the same top of the line specs as the larger devices carry. Thankfully for these users it seems that Sony is working on a smaller Xperia Z2, which is aptly called the Xperia Z2 Compact. Last year Sony released the Xperia Z1 and the Z1 Compact along side each other, both featuring the same processor, 20.7 megapixel camera and internal components as each other. The biggest difference was the size and the screen resolution, which actually fit quite nicely in the hand and still looked great. More than likely Sony will be following the same steps with this compact edition, and we can probably safely expect the same components. These images were leaked out via Chinese social networking site Weibo by user Alfred Little Lai, and the chassis and overall design of the alleged Xperia Z2 Compact looks very similar to the current Xperia Z2. It appears the material on the back of the phone probably isn’t the same glass that the Xperia Z2 features, much like the Xperia Z1 compact had a different case material than its bigger brother. The devices features the same 20.7 megapixel camera as its bigger Xperia Z2 brother, so presumably the rest of the components inside are the same. Expect a smaller 720p screen instead of the 1080p one featured on the Xperia Z2, and while the pixel-per-inch density of that screen is lower than the one found on the Xperia Z2, 340+ PPI still brings a fantastic display to the table. Also note that there’s a rubber lining around the inside of the shell, denoting that this is likely just as water and dust resistant as the bigger brother as well. None of this is official of course, so take it with a grain of salt, but these sorts of leaks usually start with some sort of truth. 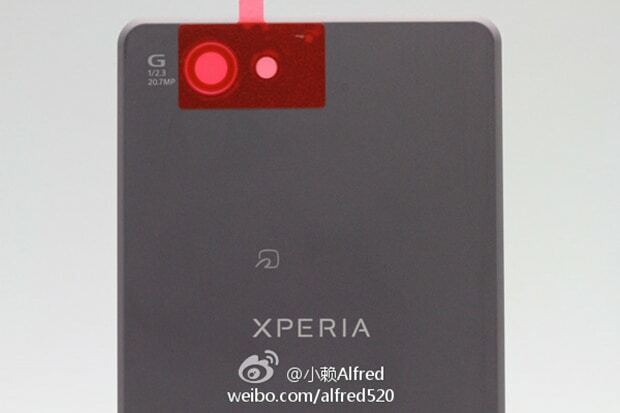 The post Sony Xperia Z2 Compact Appears in Leaked Images appeared first on AndroidHeadlines.com |.